Last week, Düsseldorf, Germany was the place to be for anyone with a stake in energy storage. 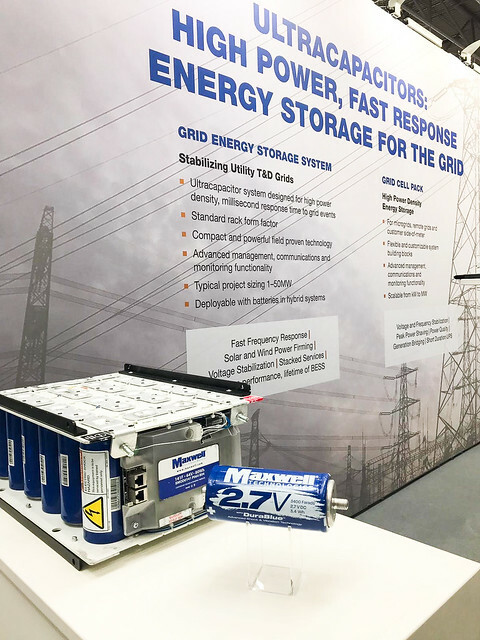 Maxwell attended Energy Storage Europe as an exhibitor and featured the Grid Energy Storage System for utility scale storage, the Grid Cell Pack for microgrids and manufacturing facilities, and our ultracapacitor cells, the building blocks of our module and system solutions. To learn more about Maxwell’s ultracapacitor (supercapacitor) storage for the grid, visit our utility grid and microgrid page. Please enjoy our photo slide show of the conference.